Made in Canada Series - Starts Wednesday, June 5th! As some of you may already know, I love local. I think it's important to live and buy local as often as you can. So I have some exciting news for you all that I've been trying to keep secret for the last 6 weeks! When I first came to Canada, I was surprised by the handmade movement I found here. There are a lot of Canadians that come up with some of the most beautiful, creative products! I've come across many at events like the ones hosted by Make It! Products, places like the weekly Farmer's Market, or yearly Fringe Festival. I have never seized to be wowed by the creativity, and the quality. I want to share just some of these amazing small businesses with all of you. Starting Wednesday, June 5th, a product review series will start, called "Made in Canada." 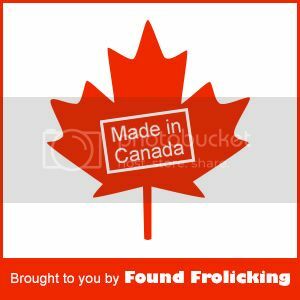 Each business featured has amazing products that are---you guessed it---made in Canada! Every Wednesday until the end of the series (it will be a minimum of 9 weeks, but it may go for 13 if I can find more participants! ), there will be a new product review. At the end of that week, every Sunday, an interview with the company from that week will be shared, to help you learn even more about the brand, individual(s) behind them, and their products. I am sure you will also be thrilled to know, that a good portion of these reviews are also giveaways! So please come back every Wednesday and Sunday to follow the series, and hear all about these amazing products, and the people behind them! If you don't want to forget, you can follow the blog on Facebook, Bloglovin, or FeedBurner so that updates on posts get to you!